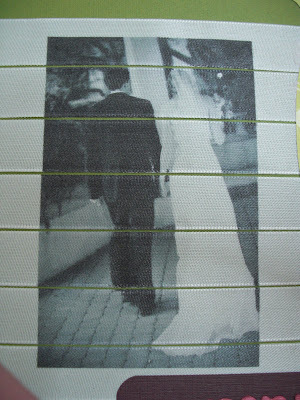 Here is another clip from our wedding album. 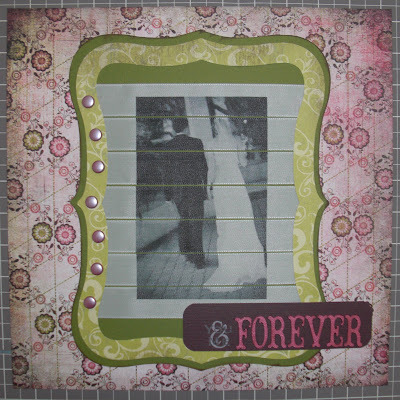 I saw this wonderful technique where a scrapbooker printed a photo on ribbon. I just had to try it and figured I’d use a favorite wedding photo. Details: I believe the pink patterned paper is by Basic Grey. Frame was cut using Accent Essentials Cricut cartridge. 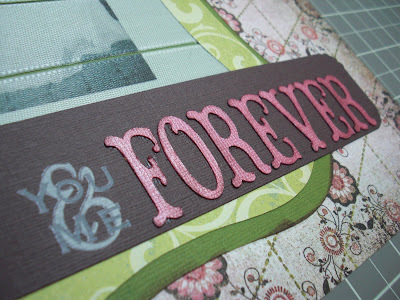 “Forever” was cut using Storybook. 1. Choose a photo and print in black and white on a regular 8.5 x 11 sheet of paper. 2. 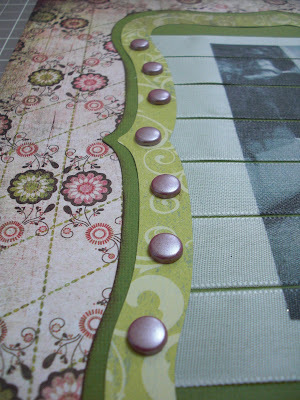 Cut ribbon into strips wide enough for photo and extra space on either side (can do vertically or horizontally. I used ribbon from the $1 bin at Michael’s. Just be sure the ribbon is of a cloth-like material so that the ink will dry. 3. Apply adhesive to back of ribbon (I used a Xyron sticker machine) and lay ribbon over photo such that the image will print appropriately on the ribbon. 4. Load paper with ribbon into printer and reprint the image. The image should print on the same location of the paper, but this time it’s covered in ribbon so the image will print on the ribbon. OMGoodness!!! This is breath taking!! !